It all started 20 years ago, when we were asked to use cut-off apple trees for something. Then we have started working on it during an off season for furniture and fixture, however, there was a certain reason why no one had ever used them for woodwork despite the fact so many apple trees had been cut off every year. Since farmers do not grow apple trees in a vertical direction for easier harvesting, that makes no long piece like Japanese cedars, Hiba, and pine trees which are good for general woodwork. This means we can make only small items with apple trees. 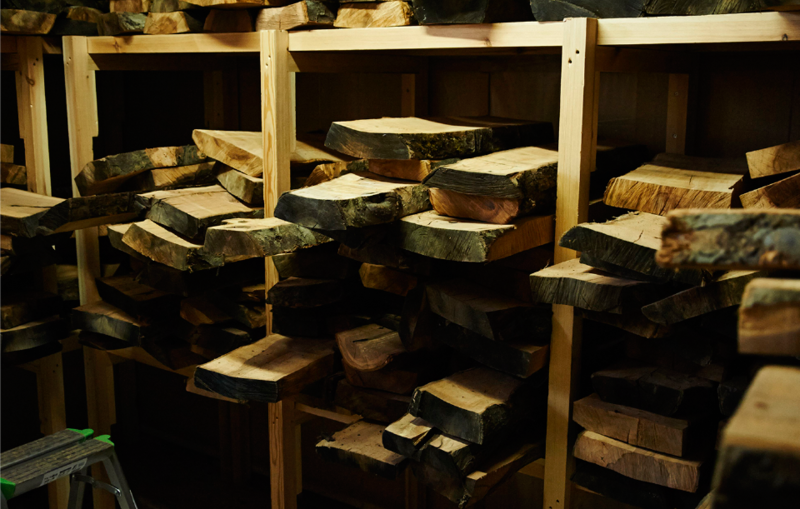 We traditionally purchase dried lumber that has been cut to specific length and width from a lumber dealer and then process them into a product, while we need to work on apple trees all by ourselves at every stage such as harvesting the wood from a farm, sawing, and drying. After all those effort, we find out only half of them at the most is available to be processed in the end. It is just like the proverb “there’s no such thing as a free lunch”. 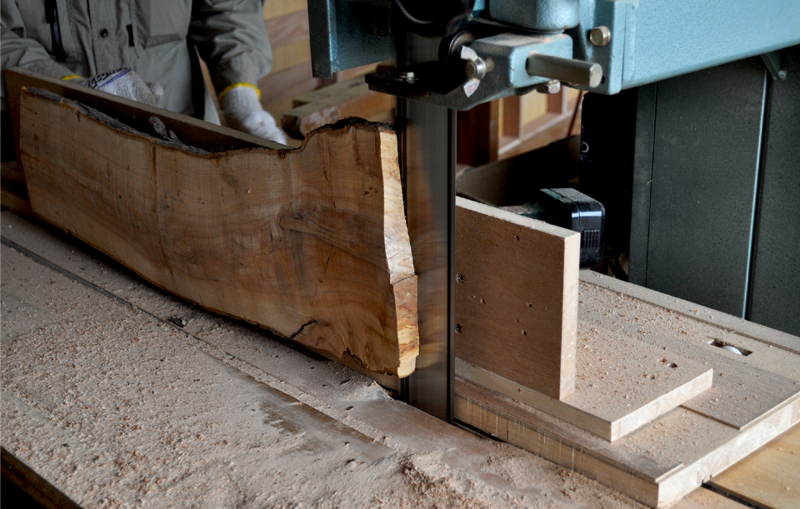 Sawmills never accept such a difficult small log called Donkoro. 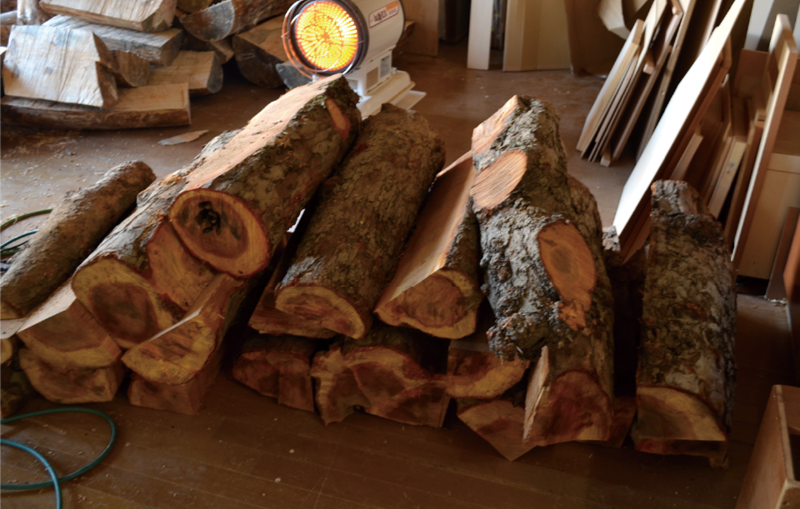 We need to be very careful about cutting a solid apple log with a chain saw or a band saw all by ourselves, which involves risk and decreases production efficiency. If it smells of apple at least, it would increase in value of it, though, it has no smell and nothing special about. 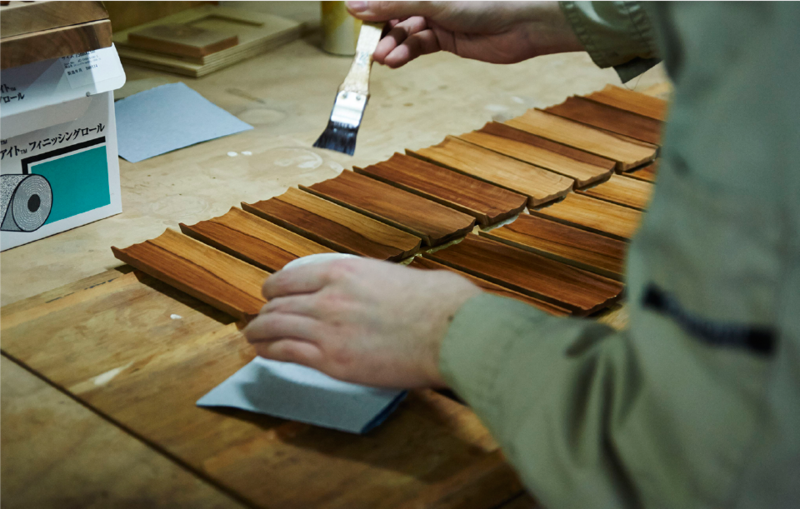 Thus, we have decided to work on all those processes such as sawing, drying finishing, and painting all by ourselves. We created a variety of handmade machines and jigs utilizing tools around us including small running saws for sawing use only, dryers, chopstick-shaving machines. Putting ideas all together makes anything possible without much investment in factory and equipment. This is how brilliant Japanese people are. We have been woodworking since the age of my great-grandfather, and would not be still woodworking today especially without apple industry. 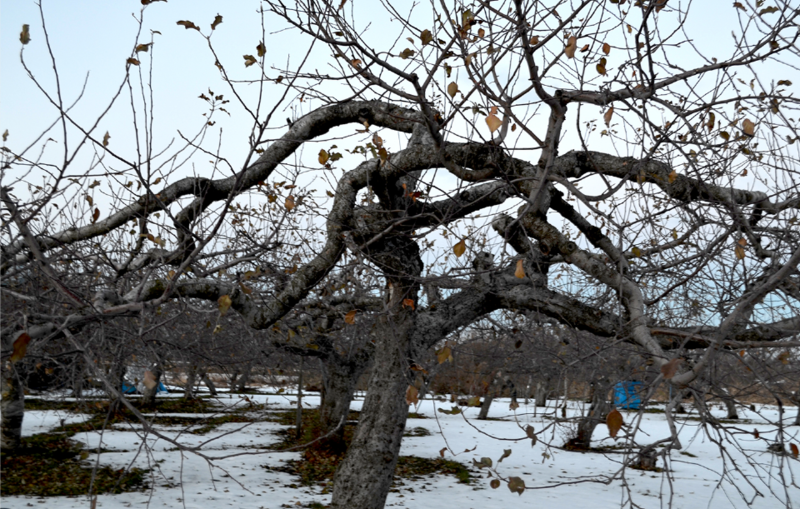 My great-grandfather had developed a stepstool-like ladder called an Apple Ladder made of Aomori Hiba for apple farms, which has structure come up from fixture-manufacturing knowhow. 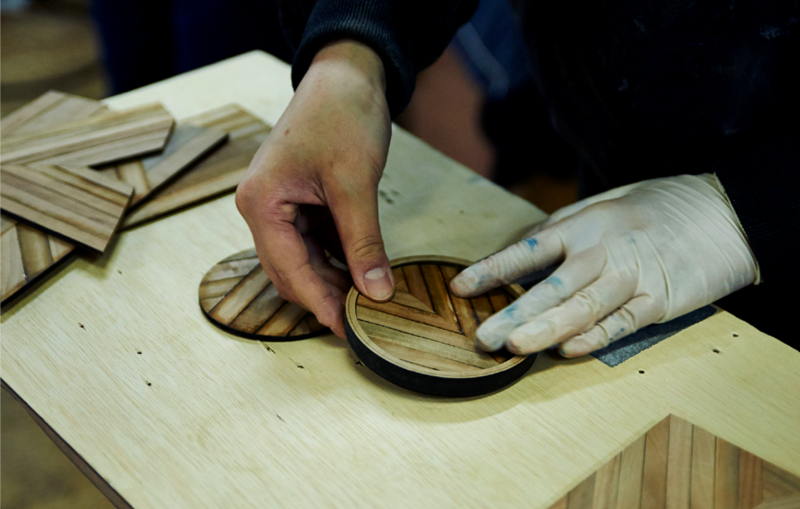 We still sell and manufacture them at Kimura Woodcraft Factory in Watokumachi, Aomori. 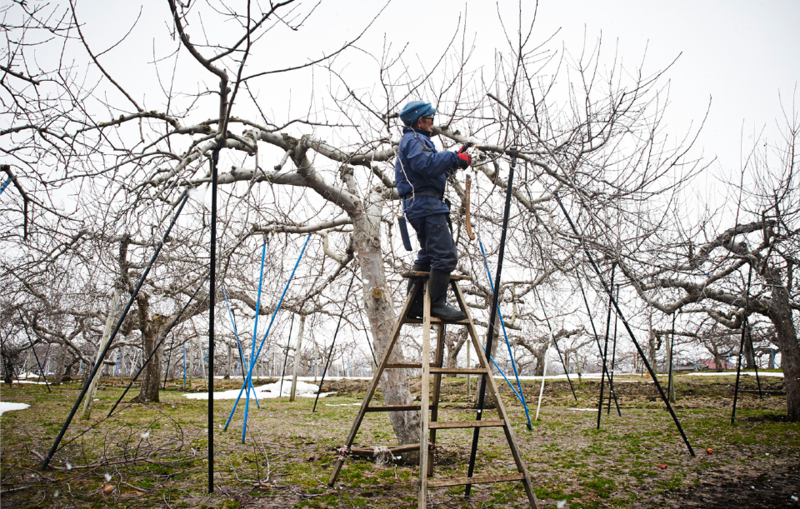 We heard that many of the Apple Ladders used to be delivered to the areas of Shinshu and Hokkaido as well in the past. We have again started to receive much benefit from apples now.